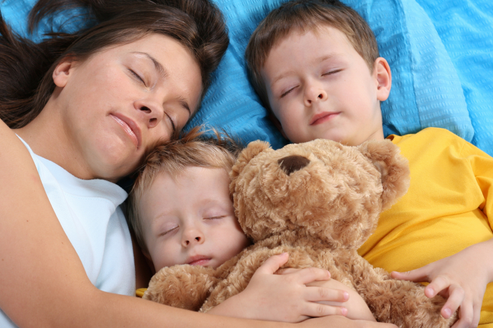 Single moms are superwomen, but that doesn’t mean that they don’t need to be cautious. If you don’t have a man in the house, it’s extremely important to pay attention to your surroundings. When it comes to staying safe, knowledge is power. While paying attention to your surroundings can help you look for red flags, there are several things you can do in your home that will deter vandals and peeping Toms. Here are 5 tips on how you can keep both yourself and your child safe. If you’re a dog person and your child has been begging for a dog for years, now may be the time to give your child what they want. Not only will a dog become your companion, he will also protect you. Animals have inherent instincts to sense bad intent and you’ll feel much safer with a pooch. If you’re not a dog person, or you want a well-rounded security system, consider installing a home security system such as Vivint Home Security. Not only will alarms sound when sensors are triggered, new systems also give you the power to watch live feed from your security cameras so you can monitor what is taking place. Monitored security systems will call your house immediately if an alarm is triggered to confirm that you are safe or if you are in need of emergency assistance from police, fire or medical personnel. When you don’t have a peep hole, answering the door can put you at risk. If a home invader has been casing your home, they may have noticed there is no “man of the house”. You always tell your child not to open the door for anyone – you should do the same. By installing a peephole, you can take a peep to see who is knocking before you give a burglar the power to barge in. Peepholes are also great for children who stay home alone. Burglars target houses that are dark and secluded. If you take the time to light up the pathway and the exterior areas of your home, you can discourage robbers and home invaders from entering your property. You don’t necessarily need to build a steel room, but designating a safe room where everyone in the house can fit is a good idea. In the room, you should have a spare cell phone and possibly a weapon (if this is something you are comfortable with). Doing this increases your chances of walking away from a home invasion unharmed. Make sure to build relationships with your neighbors. Know your neighbors and be friendly enough to watch out for each other. Be aware of what is happening in your neighborhood. For instance, if there is a parked car in an odd place with people in it just after dark, they could possibly be waiting for lights to go out at a house that they plan to steal a car from. Unmarked vans or people moving things out of a home on your street could be negative situations. It may also be in your best interest to take a self-defense course so that you can protect yourself from attackers. If you take the time to deter criminals, pay attention and gain knowledge, you’ll have the peace of mind you need. ← Are You Struggling with Dyslexia? The Healthy Emotions Story Is For You!